If you have broken or cracked the Acer N35 PDA touch screen also known as the glasstop, but the LCD display underneath is intact and shows no damage without any screen image problems then this is the repair for you. A broken touch screen (glass top) is classed by the manufacturer as a non-warranty repair and they will charge you accordingly. This complete Acer PDA touchscreen repair service is a far more cost effective option and performed to exacting standards. * Price includes insured return shipping in the UK. This is an in-house PDA repair service, when ordering this service you are required to ship the Acer Pocket PC into our repair centre for works to be undertaken. 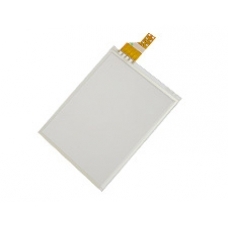 The touchscreen also known as the Acer digitizer, this replacement part is used to read touchscreen input from the stylu..